The third term presidency campaign in Sierra Leone is no longer necessary, and pressing ahead with it will raise political tensions. 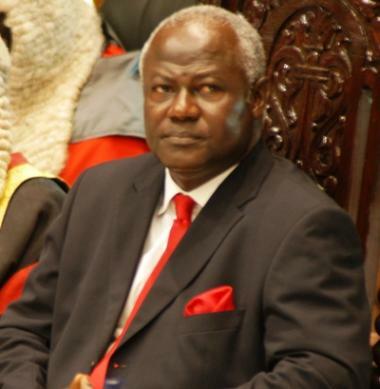 President Koroma has affirmed his support for the ongoing national debate on the idea of a third term as part of the democratic process. Sure I agree with him, but even after making a public pronouncement last week, that he would not be seeking an extension of his presidency, key members of his executive and party officials continue to engage the public to push for his third term. Whilst it is legal to debate the issue, the president’s apparent failure to distance himself from his ministers, creates uncertainty and heightened political tensions our trying democracy do not want. In my humble opinion, the third term debate has been rendered completely unnecessary, by president Koroma’s declaration that he would leave office on the completion of his second term in 2017, as mandated by the constitution. But what I believe he has failed to do, thus far as a statesman, is to remove the tension engendered by this debate, by making an unequivocal statement assuring the country that he would not go for a third term. He has also failed to unequivocally state that he would not endorse any proposal from the constitutional review committee, to change the 1991 entrenched constitution – via a referendum to effect a third term. Until that is done, the people of Sierra Leone are still uncertain as to what will happen to the peace and stability they enjoy today, in spite of the harsh unmitigated economic hardship they and their families continue to endure daily due to corruption, greed and government mismanagement. It is the responsibility of a government to root out ideas or movement from within its rank, if such ideas are inimical to national cohesion and that it has the potential to undermine the peace. Engaging in activities or political campaign and propaganda, which raises political tensions after the president, based on his recent speeches has declared to have no interest in, is another form of encouraging the third term presidency debate to continue. By calling for a third term, the APC is creating a dangerous climate of uncertainty amid rampant poverty, and the ever widening gap between the “common man” and those in authority. The APC as a protest party, would like to pride itself as the party for the common man. But in truth, their policies and politics of greed have further divided this country into the haves and the have nots; and this situation is not healthy for genuine democracy to flourish. Regrettably, the APC have been in power for much longer than the SLPP, since the country gained its independence in 1961. Noticeably, it is during these periods that the greatest damage was inflicted on our nation’s body politic and economy. Consequently, our country has slide backwards and is now stuck at the bottom of the UN Human Development Index. The third term idea is motivated by greed and the desire for those in power to perpetuate their selfishness and corrupt lifestyles, whilst the majority of citizens of this beautiful and potentially among the richest countries on the planet, suffer in poverty. A fundamental problem faced by the APC is that they do not have another leader with the charisma of president Koroma. Quite frankly, for them to now resort to a campaign for an extension of his presidency, is indicative of the chaos they are in, and their argument for a third term only add to that confusion. Indeed some Imams in Freetown have expressed fear, on the likely void the departure of president Koroma’s end of term could create within the ruling APC. But history is not on the side of those who have tried to interfere with entrenched constitution in order to serve their selfish political objectives. Former president Obasanjo of Nigeria tried, but the Nigerian people rejected him. Former Senegalese president wade tried, and it led to a massive coalition against him, which cost him the election. 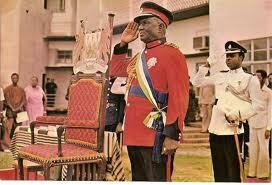 Here in Sierra Leone, Sir Albert Margai tinkered with it in the 1967 elections. It was rejected. So, those pushing for the third term presidency today in Sierra Leone, will fail and their argument will be dismissed by the people. 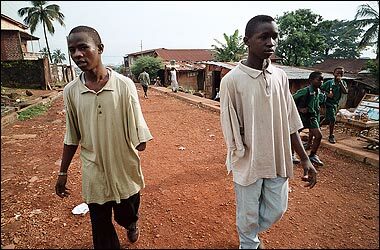 Coupled with the serious economic mismanagement and lack of transparency by the government, Sierra Leone continues to struggle from the effects of a devastating war – the scars of which are still visible. We have heard a lot of president Koroma’s so called achievement, especially the construction of roads. But the fact remains that the Tejan Kabba SLPP administration was the enabler and the APC is the implementer. Had the SLPP government not achieved peace in Sierra Leone, secured international support, restored our shattered institutions which were destroyed by the war, we could not have been talking about Koroma’s road building programme today. But even here, it was the SLPP that secured the resources for these projects. This is how democracy works. An elected government should provide continuity, from where its predecessor has stopped. But the achievement of any government in office cannot form the basis for a change in an entrenched constitution, simply to allow one person to perpetuate his leadership. This can lead to dictatorship and the creation of more greedy, selfish and complacent political class, whose only mission is to enrich itself while the poor suffers. The SLPP is the only party that can guarantee peace, stability and national unity in Sierra Leone. We believe in political inclusiveness and one nation. We led our country to independence when it was opposed by Siaka Stevens who later became leader of the APC. Stevens t(Photo) then imposed one party rule, which devastated our nation’s economy and eroded all semblance of democracy. His rule was marked by rampant corruption, imprisonment of political opponents and elimination of his internal party rivals on trump up charges. 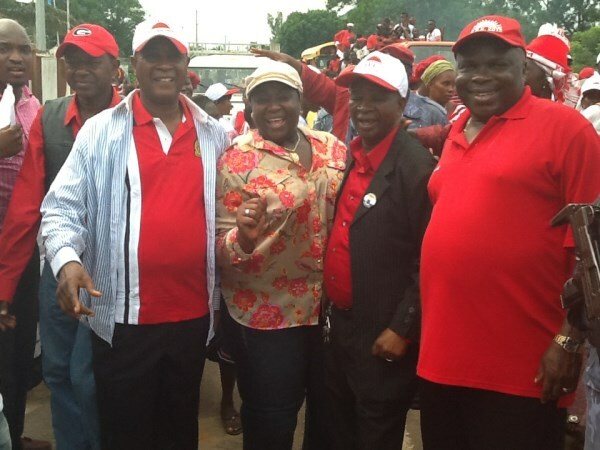 He left the country bankrupt, just like another former APC president – Joseph Momoh did. By contrast, the SLPP left substantial revenue in the treasury in 2007 when it peacefully transferred power to the current APC administration. Under the APC, the country was grossly misgoverned by repressive means, and with disastrous long-term consequences which the people are still suffering from today. It was the APC’s protracted misrule that led to the emergence of the rebel RUF, led by Foday Sankoh, aimed at removing APC from office. Thus to maintain the hard won peace and build on the country’s fledgling democracy, Sierra Leoneans owe it to all the victims of APC misrule and the rebel war, to resist any talk of a third term. The argument for a third term is fraudulent, greedy, selfish and a threat to national stability. It is an idea that is not good for Sierra Leone and will not help promote good governance and competitive politics. If the APC believe they have done well, they should leave our constitution alone. It is not for them to say they should be in power for the next 20 years. The people should decide at general elections.